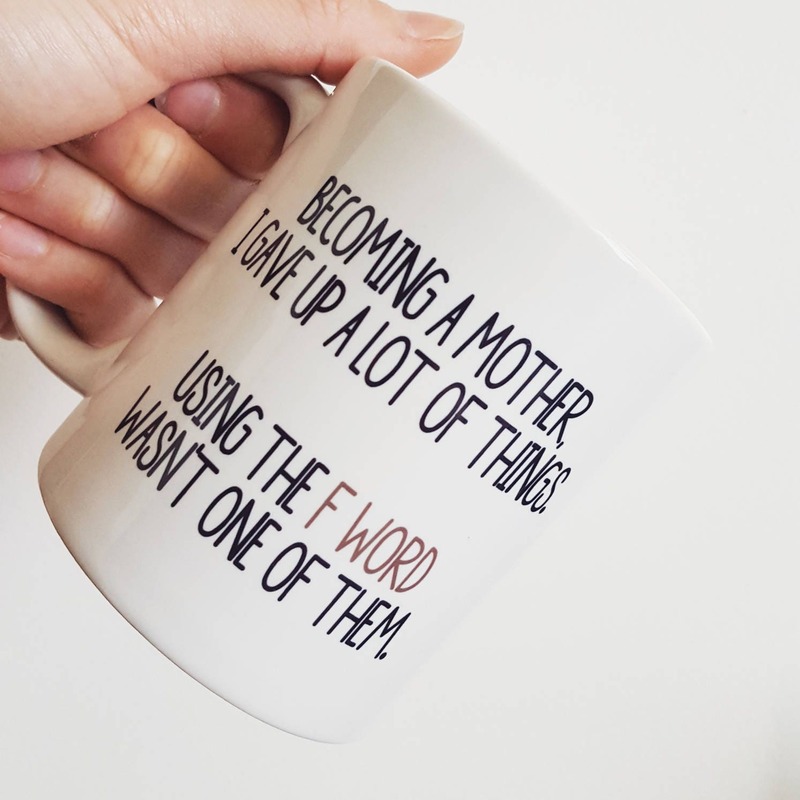 Handmade F Word Coffee Mug - Motherhood Coffee Cup - Becoming A Mother, I Gave Up A Lot Of Things. Using The F Word Was Not One Of Them. Handmade "F Word" Coffee Mug - Motherhood Coffee Cup - "Becoming A Mother, I Gave Up A Lot Of Things. Using The F Word Was Not One Of Them." This listing is for one "Becoming A Mother, I Gave Up A Lot Of Things. Using The F Word Was Not One Of Them." coffee mug.